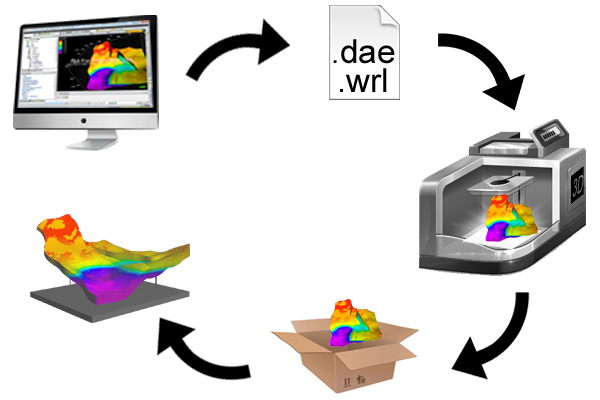 Print your Petrel* Models in 3D! 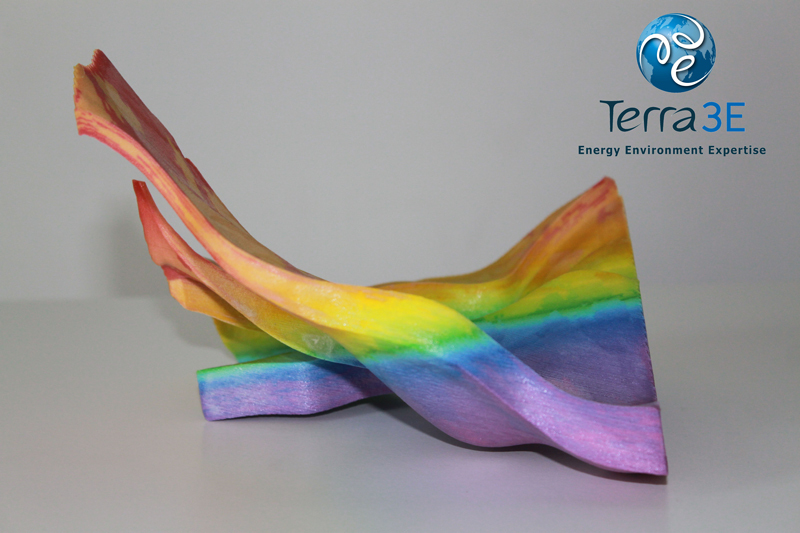 PrinTerra is an easy and innovative tool to print in 3D your geological and reservoir models. 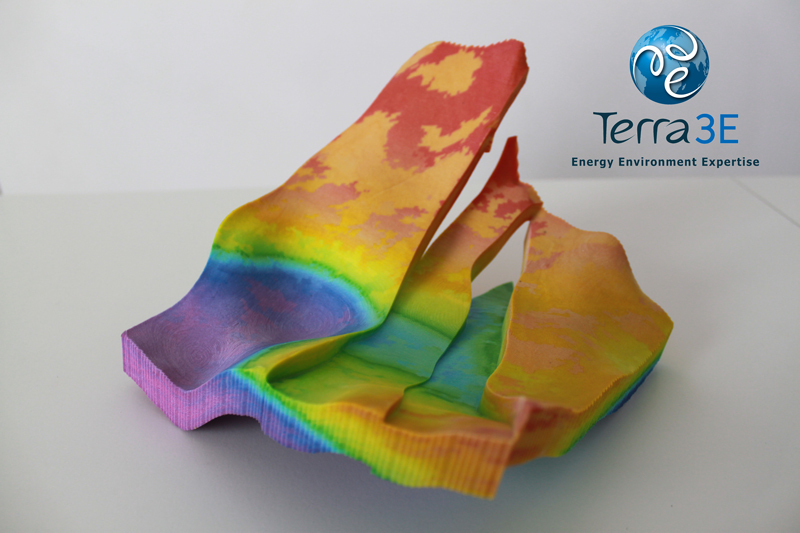 With the ability to print in full colours, geological and reservoir data can be “touched” to better understand a complex field area. 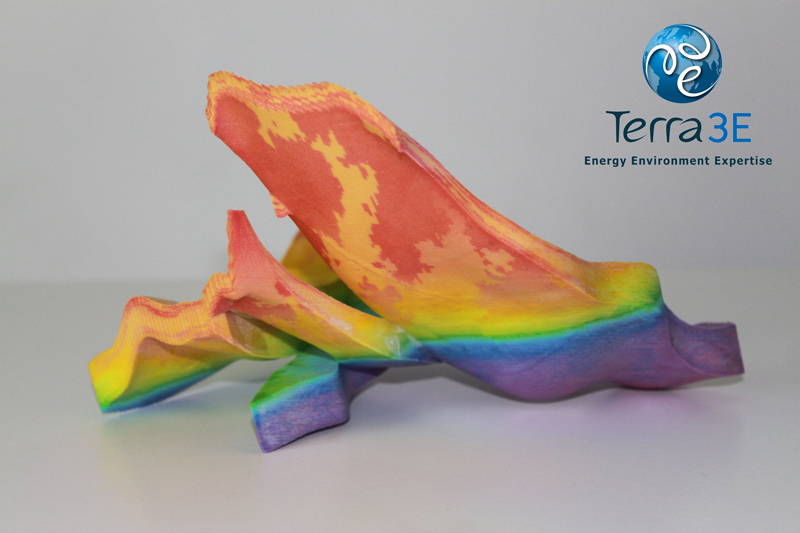 3D printing makes data touchable and greatly improves the ability to demonstrate complex geological and reservoir models. An example of printable Petrel Model. 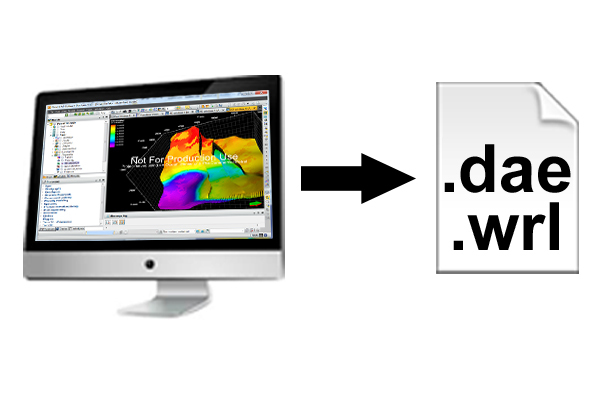 Export your 3D Petrel geological or reservoir model to a COLLADA (.dae) or VRML (.wrl) file format that is read by most 3D modelling software. 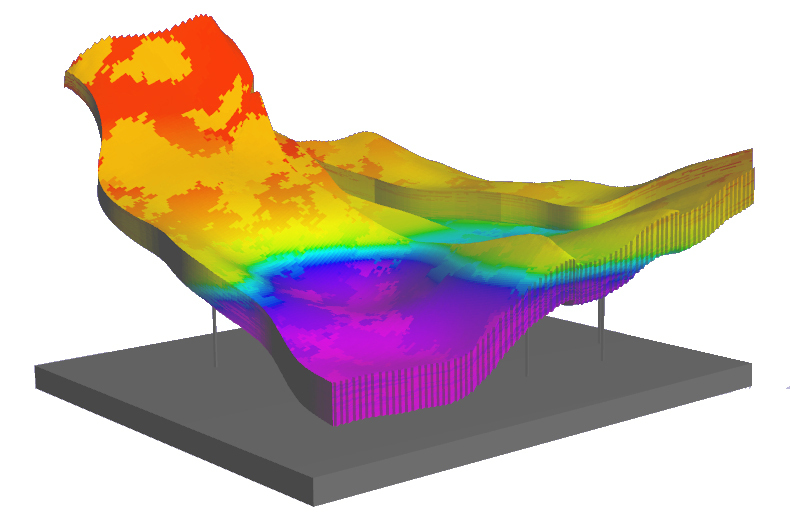 The PrinTerra interface allows defining the size of the printable models; using different aspect ratio; exporting the textures of your Petrel models and generating automatically the pedestal. The Collada file can be sent to any 3D printer companies and can be easily modified if necessary. 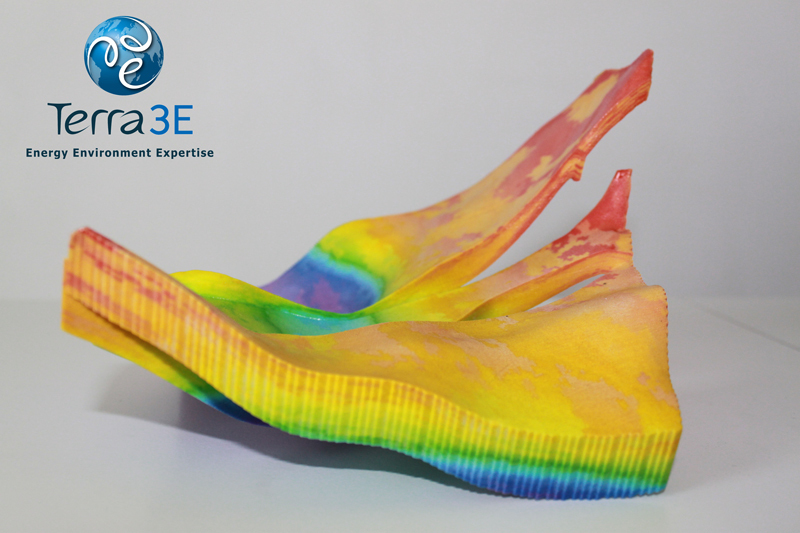 Online 3D printing platforms allow uploading in a confidential maner your files and receive the corresponding 3D object.